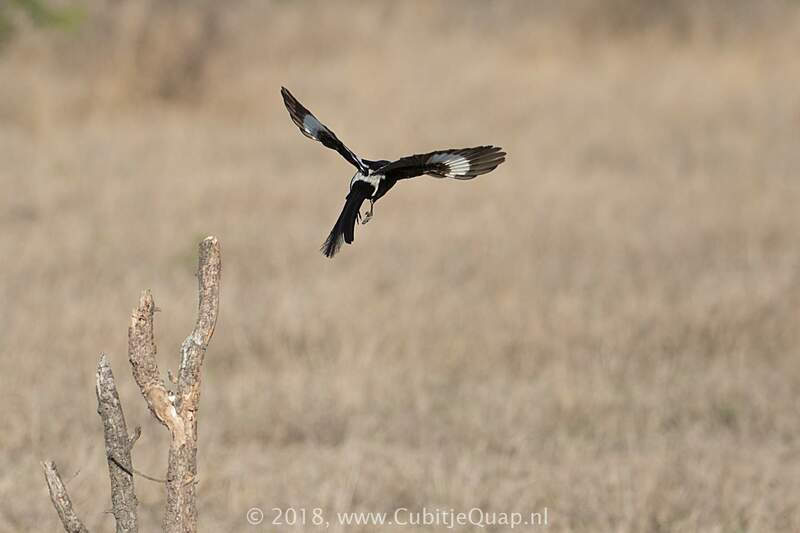 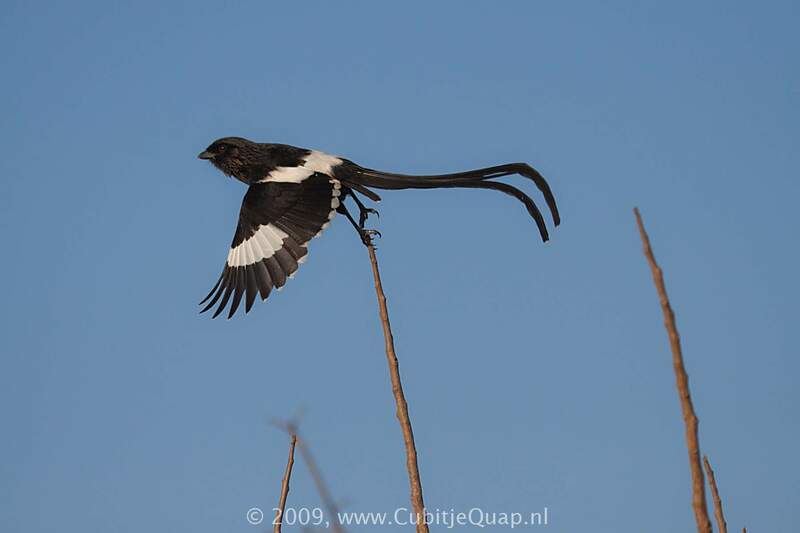 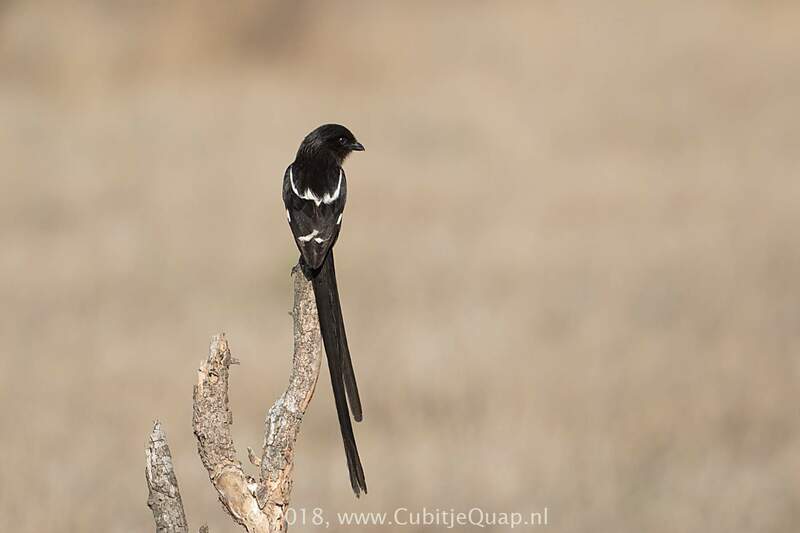 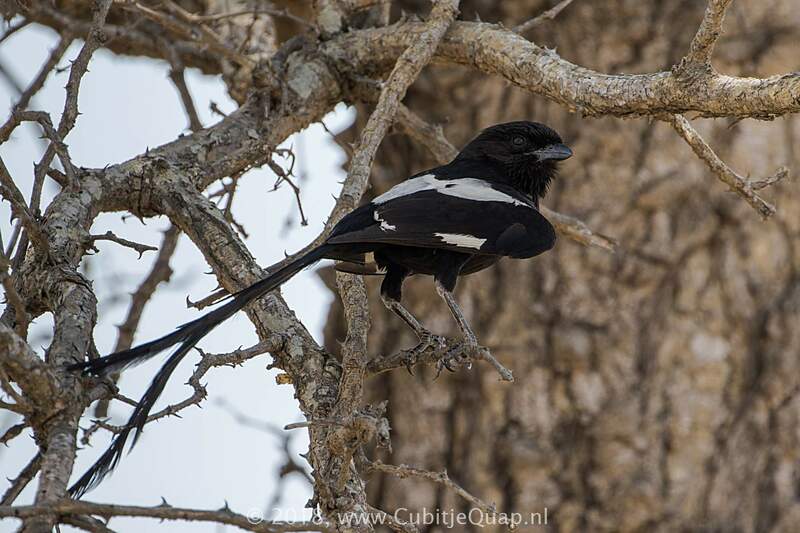 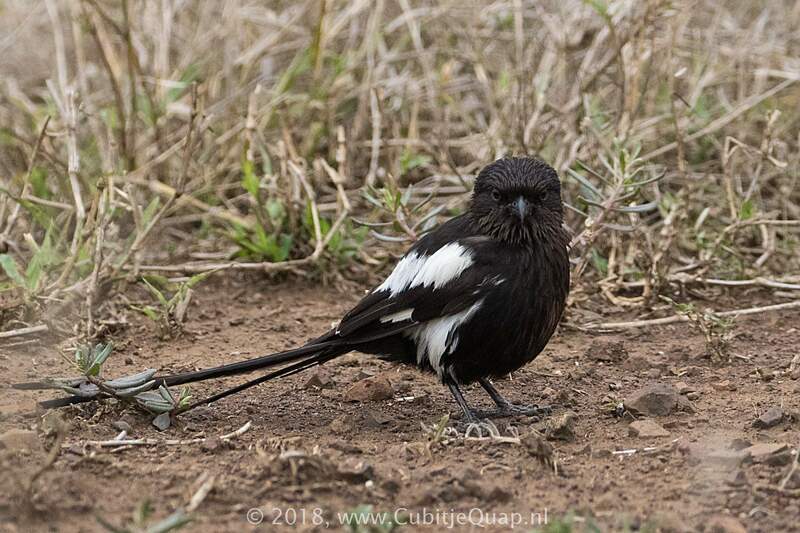 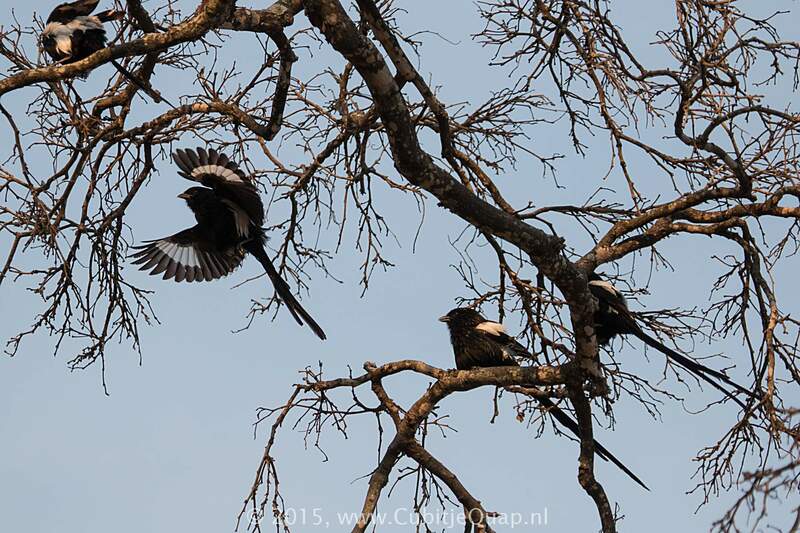 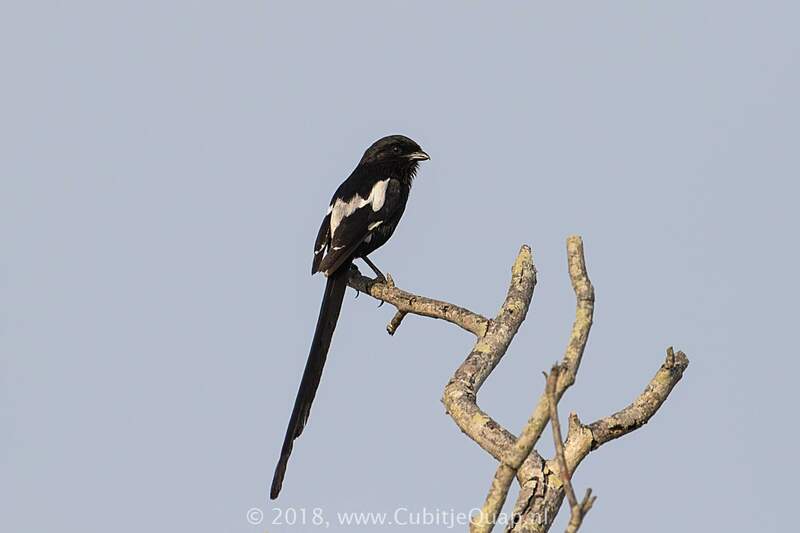 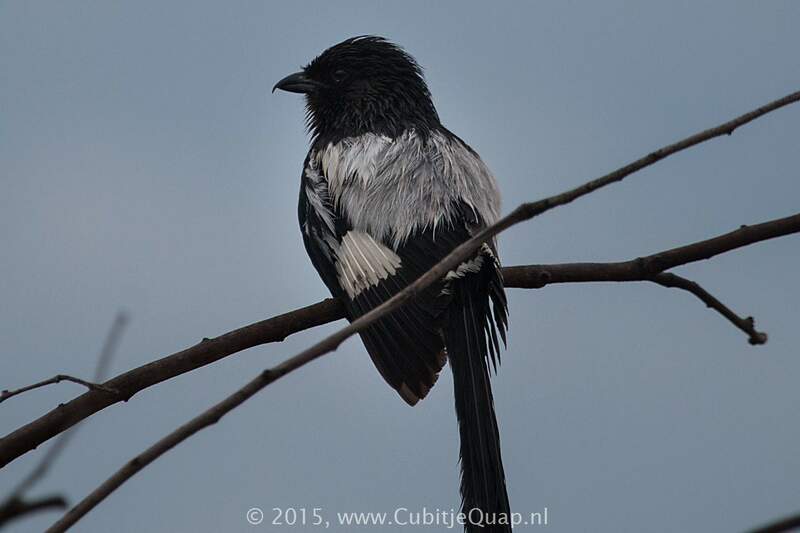 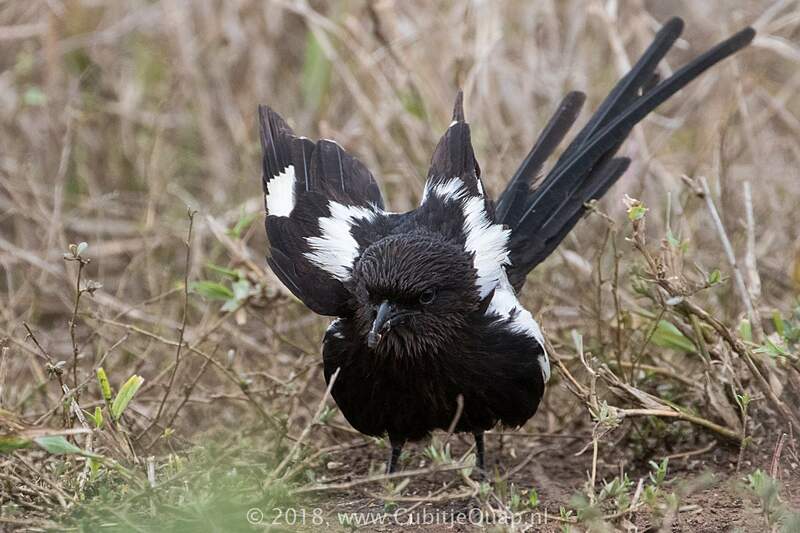 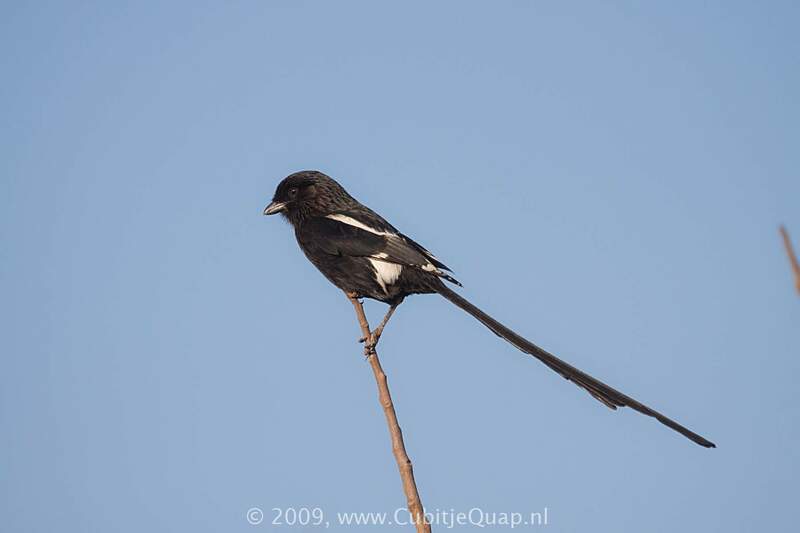 The combination of the black-and-white plumage and very long, wispy tail is diagnostic. 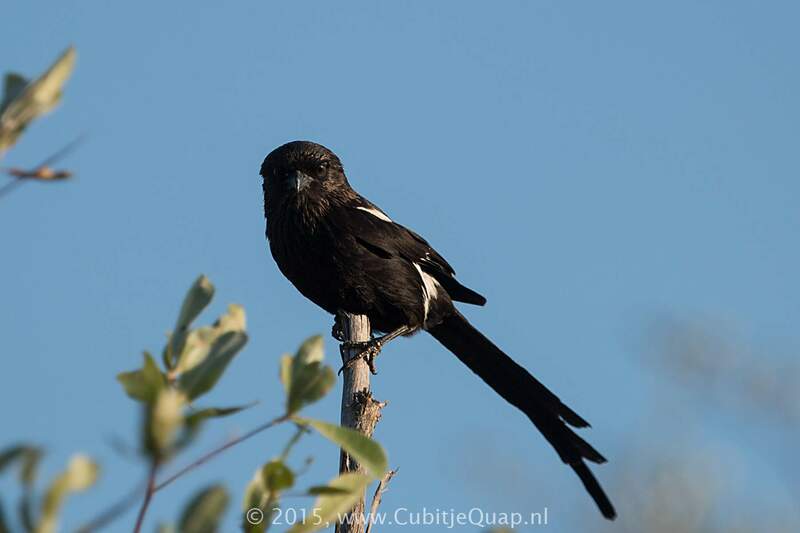 Gregarious, it typically occurs in groups of four to eight birds. 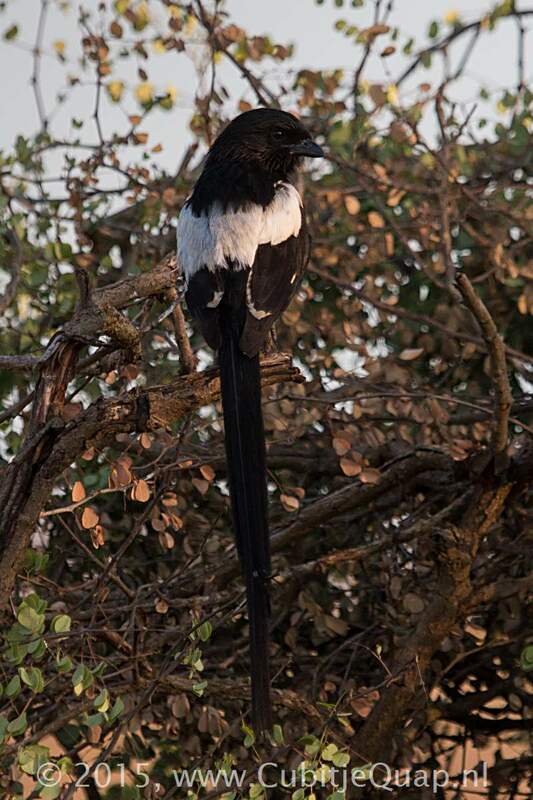 Female has a shorter tail and whiter flanks than male. 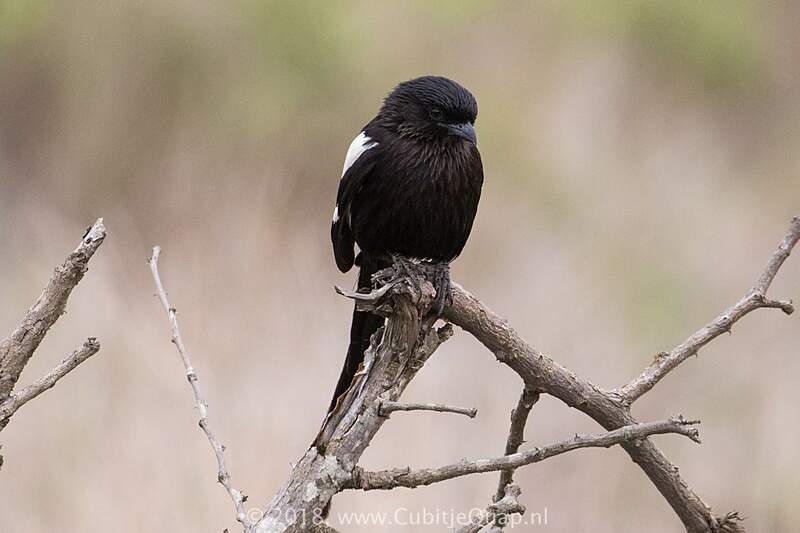 Juvenile is shorter tailed than adult, and is dull black with fine barring.